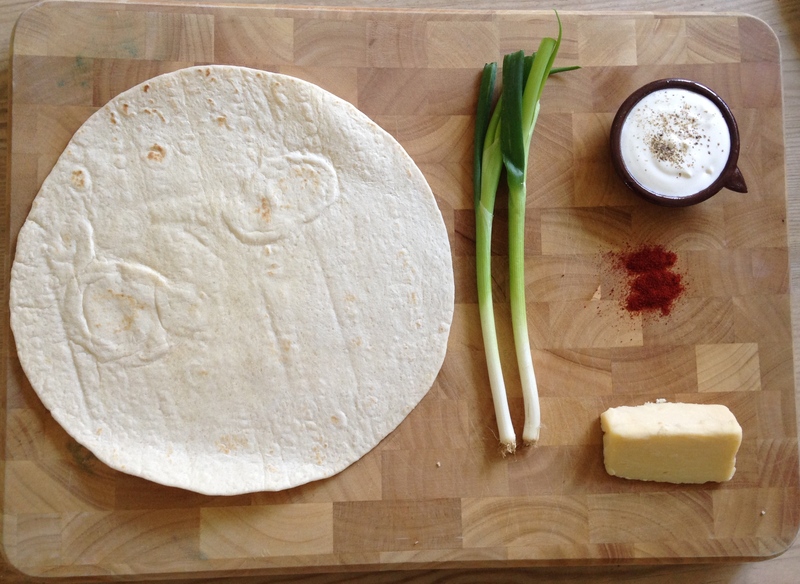 I simplified one of my favourite quesadilla recipes for this post, there aren’t any extra vegetables in these which makes them really simple and easy to make. These quesadillas are almost like a mexican cheese toastie, with a few added extras! 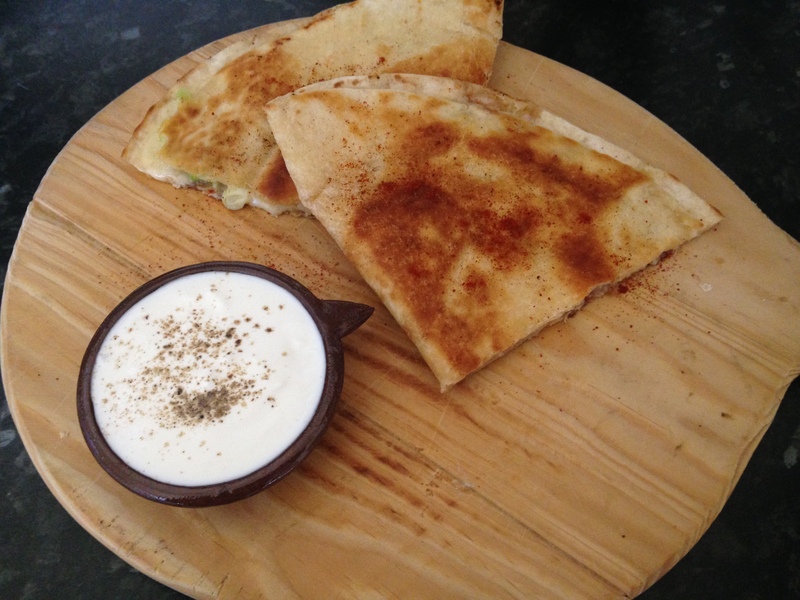 I’ve served with soured cream for a fresh taste against the cheese, onion and paprika. This is fast becoming one of my favourite quick fixes, enjoy! 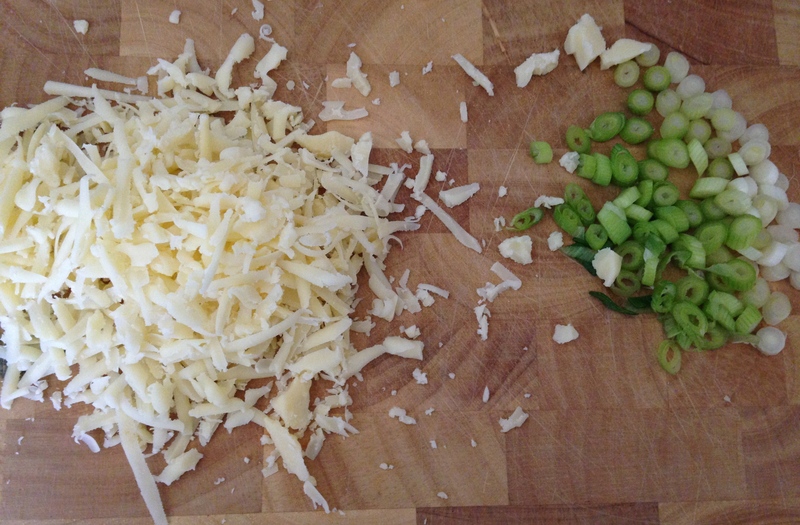 Finely slice the spring onions and grate the cheese (enough to thinly spread onto half a wrap, if cooking for one). Heat the butter up in a large or medium frying pan until bubbling. 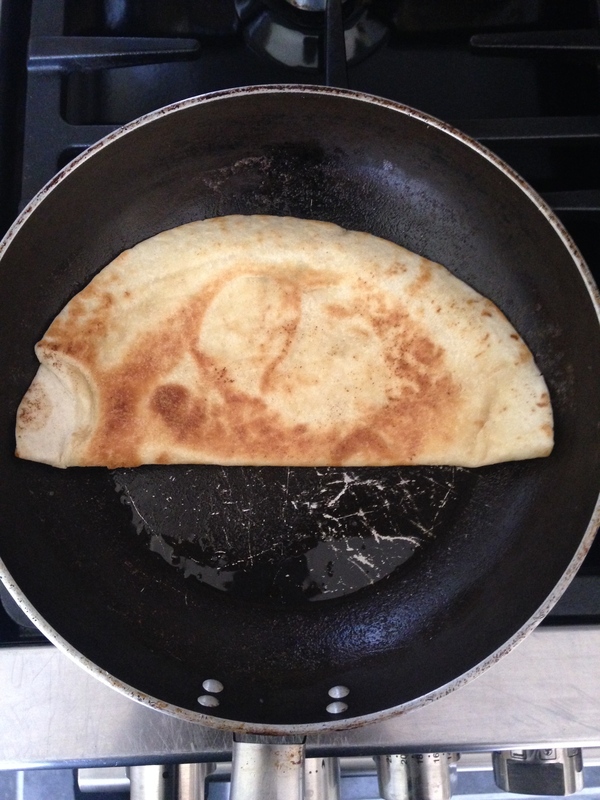 Place the wrap flat in the pan, pressing down lightly and quickly with your fingers. 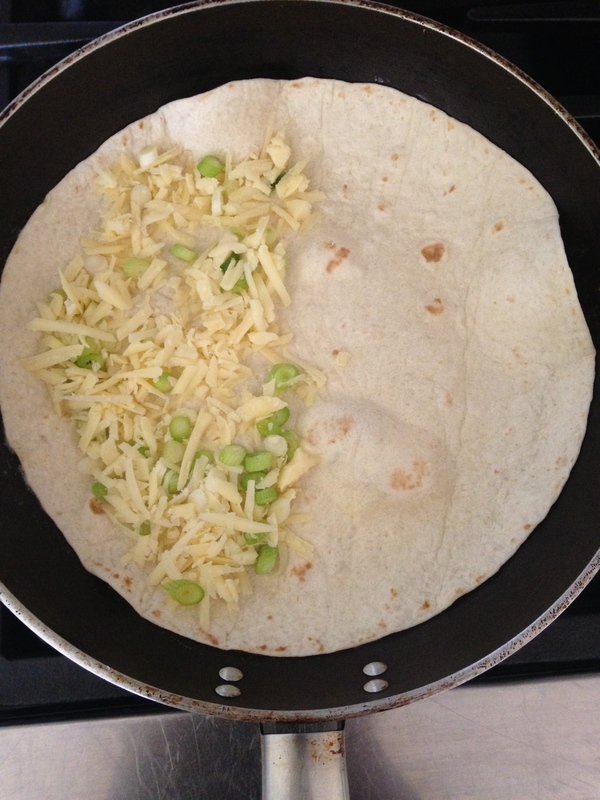 Leave it in the pan for 2 minutes until golden, then add a thin layer of the cheese and spring onions to half the wrap. Sprinkle on a pinch of salt, pepper and smoked paprika then fold over in the pan. Turn the quesadilla for a few minutes each side, lifting up one side slightly to see if the cheese has completely melted inside. Once the cheese has melted and the outside of the quesadilla is golden brown, take the pan off the heat and cut the wrap in half. Serve hot with soured cream or fresh tomato salsa. This is such a simple recipe, really easy and affordable too. If you happen to try any of the recipes I post on my blog, please feel free to tweet them to me at @beankitchenblog or use #beankitchenblog on instagram!